Wildlife Glider Discounts Apply ! Glide in style in Beecham Swing Company's 5' Super Deluxe Wildlife Series Glider! 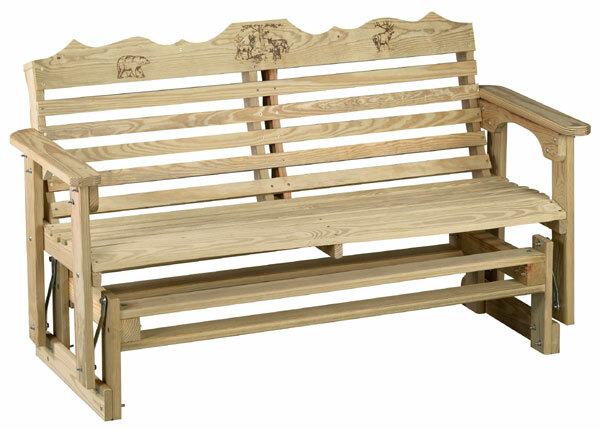 Built in the USA from treated lumber, this swing is sure to provide hours of relaxation while the carved wildlife designs provide a touch of rustic decoration!